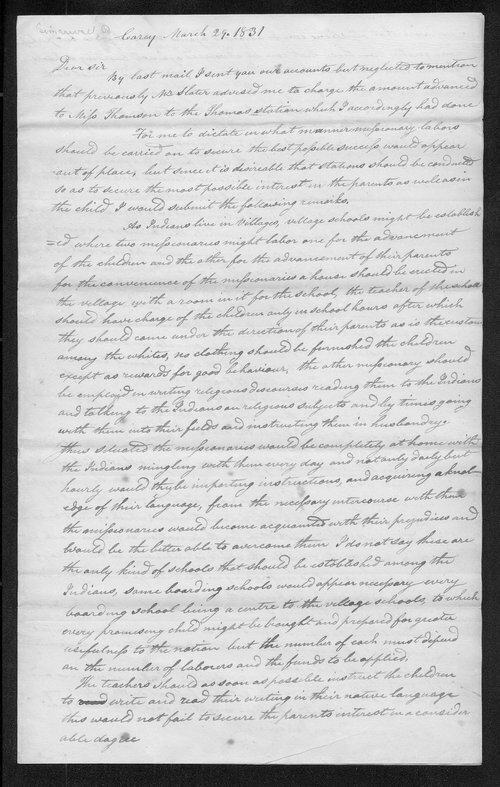 In this letter to Reverend Samuel Bolles, Robert Simerwell expresses his thoughts on missionary schools for Native Indians. To begin with, Simerwell explains that schools "should be conducted so as to secure the most possible interest in the parents as well as in the child." In addition, Simerwell argues that schools should be set up in or near villages where the children most often reside. Finally, among many other thoughts on education, Simerwell believes that missionaries should teach Native Indian students in their native language in order to be the most effective in the classroom.